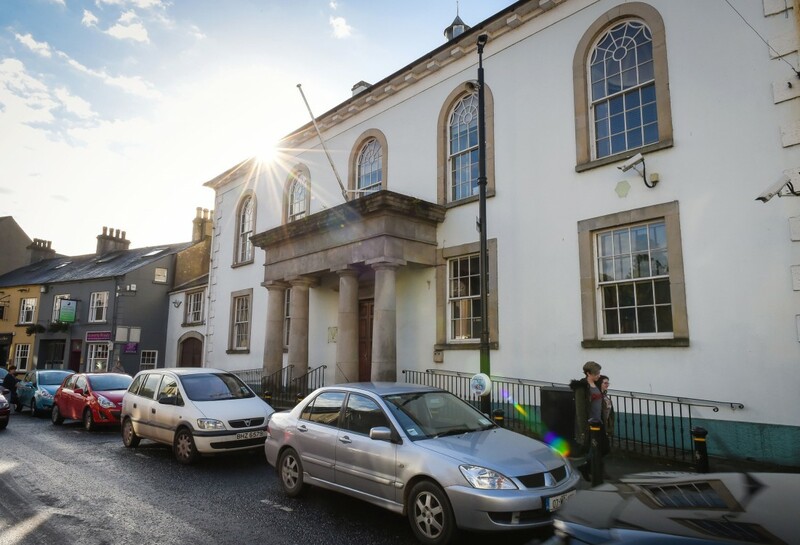 A WOMAN who is accused of a string of thefts was arrested on foot of six bench warrants and brought before Enniskillen Magistrates Court this week. Julie Stokes (25) of Drumbeg, Enniskillen was due to appear before the court on Monday on two sets of listed charges. The first was in relation to the alleged theft and burglary incidents at Asda on August 20th last. These charges included the theft of £1,088 electrical goods from the store, two Playstations and 34 blue ray DVDs. The second charge was of theft of car oil worth £29.99 from McBride’s Spar. Prior to the hearing on Monday Stokes was arrested on foot of six warrants. Three of the warrants related to the alleged thefts. One was for the alleged theft of 10 DVDs from Tesco, Enniskillen worth £131 on August 18th, one was for an alleged theft of £731 goods from Asda in Ballyclare on August 21st, and another of alleged theft of £30.99 goods from McDaid’s Pharmacy on August 30th. The remaining three warrants were for breaches of a probation order. Police objected to bail being granted on Monday, stating Stokes had a history of breaching bail, had previously reoffended while on bail, and they were concerned she would not return to court. A police officer told the court Stokes, who has 111 previous convictions, was arrested on November 11th in relation to a theft in Lisburn. She was interviewed and released on police bail, and had already been subject to court bail. The officer said she had evaded custody since been released in November and had been in breach of her bail since. Police searched Stoke’s house on November 30th. She was gone as was her monitoring tag, which she is now also accused of stealing. In his bail application defence barrister Stephen Fitzpatrick said Stokes had shown in the past she could engage with court services, and said she was willing to abide by any bail conditions. District Judge Michael Ranaghan said he appreciated Mr Fitzpatrick was obliged to make the application, but said Stokes was only in court as she had been arrested on foot of a warrant. Judge Ranaghan remanded Stokes in custody and adjourned all matters for one week.